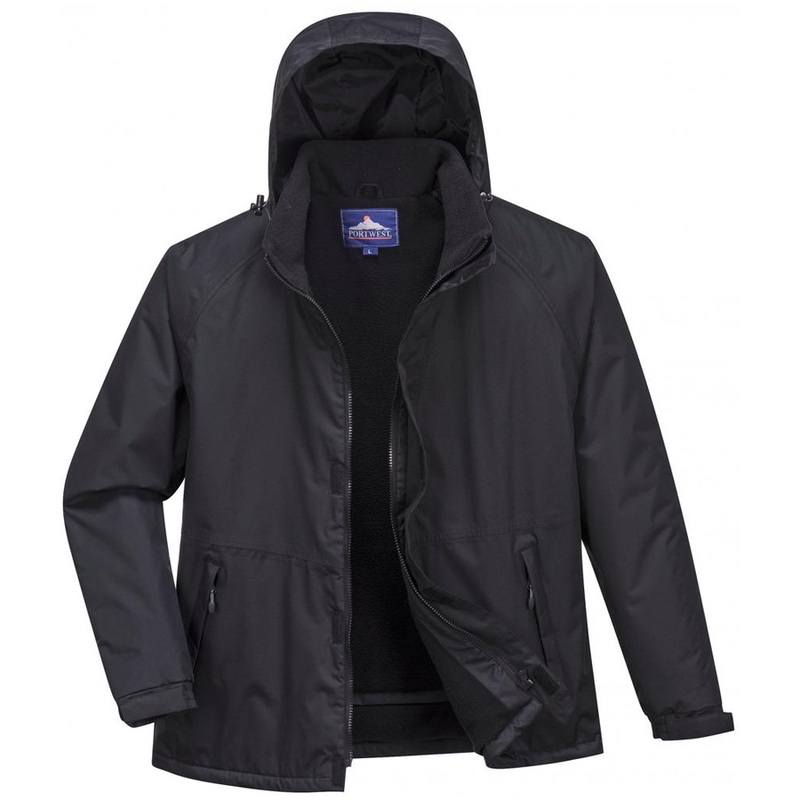 The Portwest S505 using a waterproof rip-stop fabric, this jacket is a stylish addition to the Technik range. With fleece lining and padded sleeves, it provides comfort and warmth as well as protection. Key features include pack-away hood, zipped pockets, hook and loop cuffs and print access for personalisation. The storm flap gives protection from wind and rain and draw cord hood and hem allow for an excellent fit.